Who wants pumpkin pie for dessert?? 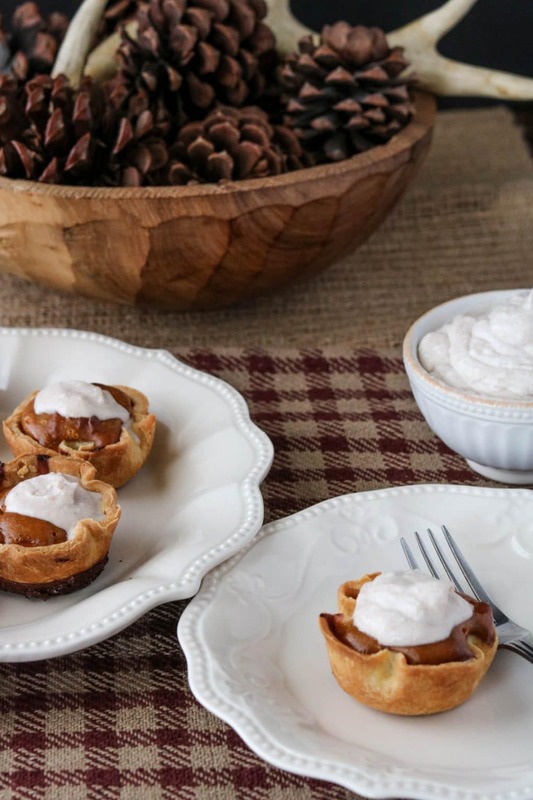 These gluten-free mini pumpkin pies will hit the dessert spot on Thanksgiving dinner. They are the perfect bite-sized dessert so you don’t overindulge when it comes to the dessert table, right?! I’m also including a maple cinnamon coconut cream in this recipe, too! So you’ll get two recipes in one! I may have just overused exclamation points, but who cares, I’m always super stoked when I find ways to improve traditional recipes. 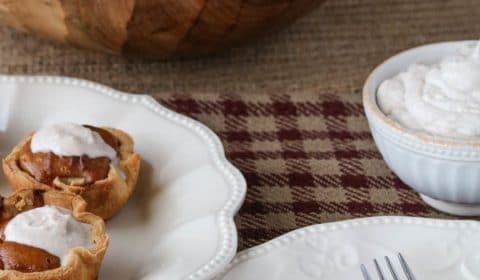 For my friends who eat very strict Paleo or cannot consume dairy, I’m sorry to say these gluten-free mini pumpkin pies do contain dairy ingredients. I wanted to put that out there early on just so you’re aware. I avoid dairy but will allow myself to consume it on occasion, in moderation. For the crust I used my go-to pie crust recipe that uses Cup4Cup’s Multipurpose Gluten-free flour. This gluten-free flour does contain milk powder, which is why I mentioned this recipe is not 100% dairy free. 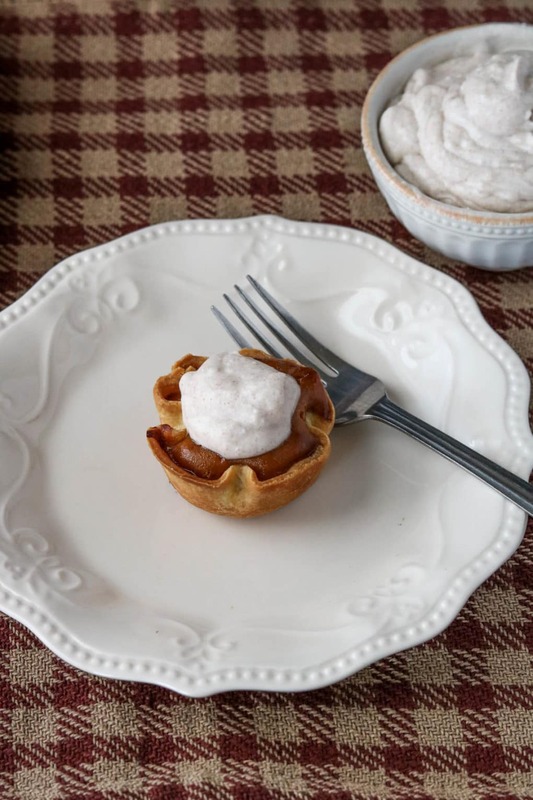 The pie filling uses organic pumpkin, spices, and also organic sweetened condensed coconut milk. Why organic? Because the organic sweetened condensed coconut milk contains HALF the sugar of regular sweetened condensed milk. You can find this at most local organic grocers (Sprouts, Whole Foods, Natural Grocers, etc. ), or you can order ahead from Thrive Market. If you’re okay with consuming dairy, you can also use regular organic sweetened condensed milk. Let’s talk about this maple cinnamon coconut cream. Another one of my dairy-free favorites! 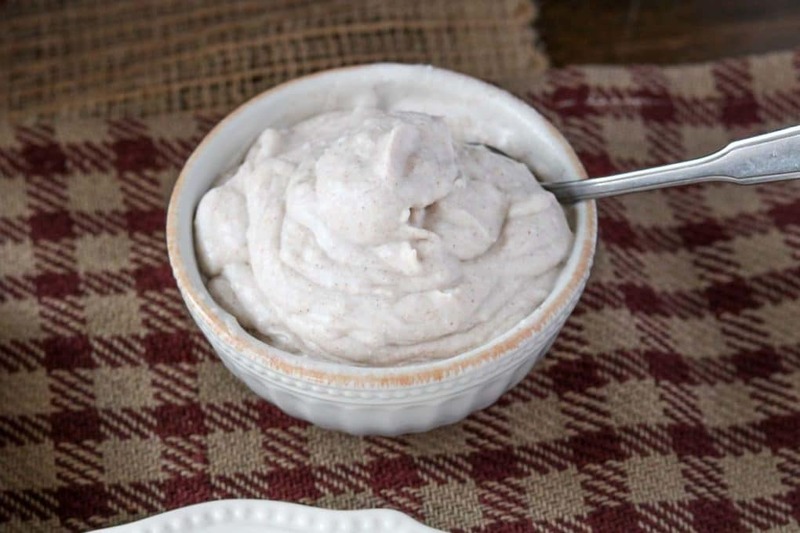 Skip the cool whip and try this homemade cream. 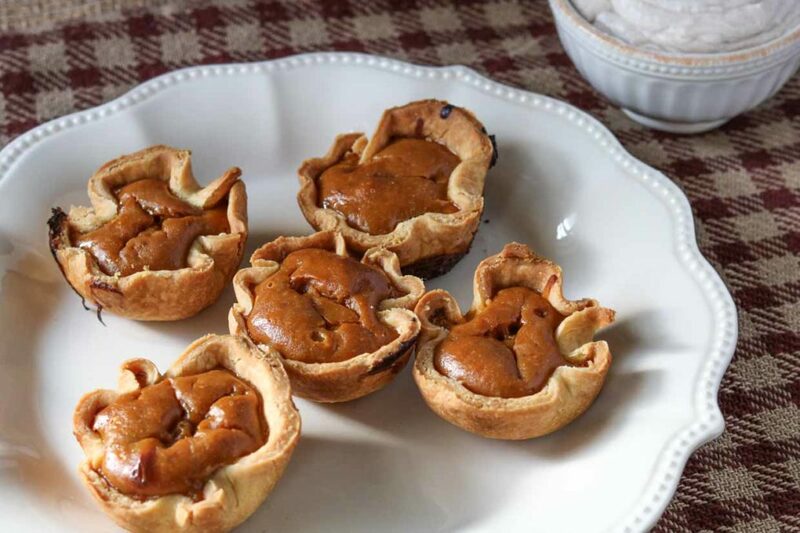 It is the perfect topping for these gluten-free mini pumpkin pies. A hint of maple, a hint of cinnamon, sweet and creamy. You’ll be looking for more desserts to eat this with, it’s that good! Then, form dough into a ball, wrap in plastic wrap and place in the refrigerator to chill. In a large mixing bowl, combine pumpkin puree and spices. Stir to combine. In a small bowl, slightly beat the 2 eggs, then add to the pumpkin mixture along with the sweetened condensed milk. Stir again to combine. Set aside. While dough is still chilling, make the maple cinnamon coconut cream. In a small mixing bowl, add all cream ingredients and blend with a hand mixer. Cover and place in refrigerator until ready to serve. Grease a 12 count muffin tin with coconut oil. Remove the pie crust dough from the refrigerator and divide in half. Place one half of the crust onto parchment paper. Place another sheet of parchment paper on top and using a rolling pin roll out crust until you have about a 12 in. circle. Using a 4 in. round cookie cutter or bowl, cut out 4 in. round circles from the rolled out dough. Place the circles carefully into the muffin tin. Repeat process until all dough has been used. You should get about 18 mini pie crusts from one batch. Fill each pie crust with the pumpkin pie filing. Bake at 425 degrees F. for 15 minutes, then reduce the temperature down to 350 degrees F. and bake for an additional 35 minutes. Top with maple cinnamon coconut cream just before serving.